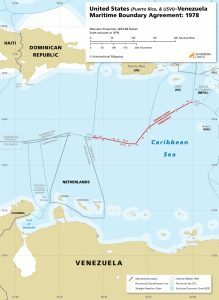 The maritime boundary between the United States’ Puerto Rico and US Virgin Islands and Venezuela’s Aves Island was established through a bilateral agreement that was reached in 1978 and entered into force in 1980. 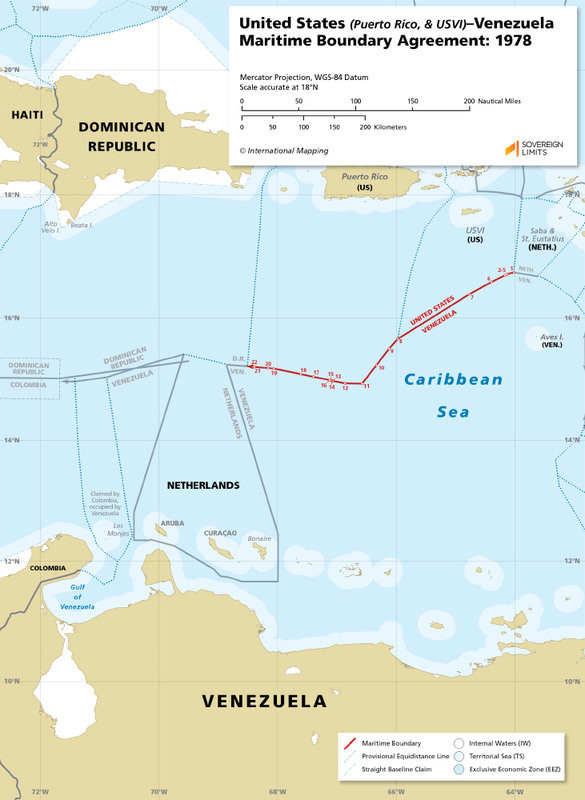 The boundary originates in the east from the terminal point of the Netherlands–Venezuela maritime boundary. The border, which is composed of 22 points, is based on the equidistance methodology. In the east, the location of the first seven points are based on the United States’ view that Aves Island should be afforded full weight in the equidistance calculations.